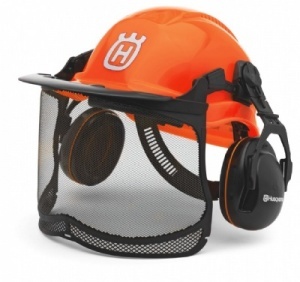 Excellent face, ear and head protection from Husqvarna. 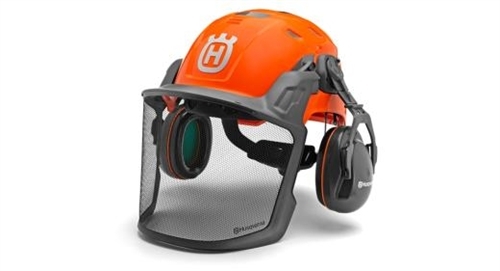 Featuring not only a robust helmet but also a visor to guard your face as well as ear protectors, Husqvarna's Technical Forest Helmet gives superb protection while you work. It is easily adjustable to suit your requirements, and boasts an innovative ventilation system so that you can operate in comfort. 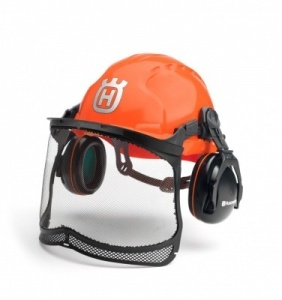 Optional FM radio is available, and the visor gives excellent visibility without compromising on its protection. 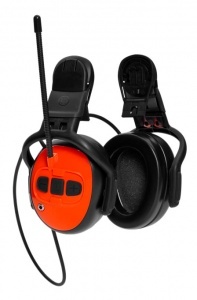 Ergonomically designed hearing protectors combined with a high-visibility mesh visor that doesn't compromise protection and a comfortable helmet make this set ideal for forestry or garden work. 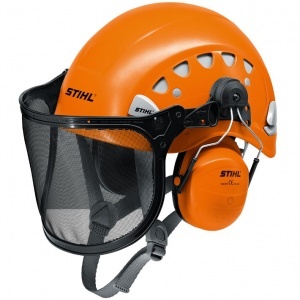 Designed specifically for professional arborists working at height,t his is a lightweight, well-ventilated helmet. 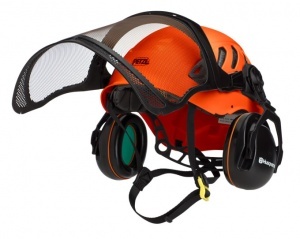 It has a unique harness adjustment system that centres the head in the helmet, and includes hearing protectors and a visor.